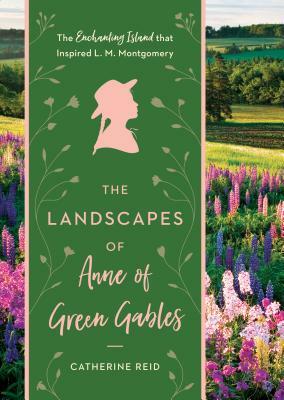 The Landscapes of Anne of Green Gables explores L. M. Montgomery’s deep connection to the landscapes of Prince Edward Island that inspired her to write the beloved Anne of Green Gables series. From the Lake of Shining Waters and the Haunted Wood to Lover’s Lane, you’ll be immersed in the real places immortalized in the novels. Using Montgomery’s journals, archives, and scrapbooks, Catherine Reid explores the many similarities between Montgomery and her unforgettable heroine, Anne Shirley. The lush package includes Montgomery’s hand-colorized photographs, the illustrations originally used in Anne of Green Gables, and contemporary and historical photography. Catherine Reid has taught at a number of different schools, most recently at Warren Wilson College, in Asheville, North Carolina, where she served as director of the creative writing program and specialized in creative nonfiction and environmental writing. In addition to two works of nonfiction, Falling into Place and Coyote, she has published essays in such journals as the Georgia Review, Fourth Genre, Bellevue Literary Review, and Massachusetts Review. She has been a creative writing fellow at the American Antiquarian Society in Worcester, Massachusetts, and the Virginia Center for the Creative Arts and has received fellowships in creative nonfiction from the North Carolina Arts Council and the National Endowment for the Arts. She lives and gardens in the mountains of western North Carolina.